At Electrical Energy Systems Corporation, we provide commercial and industrial electrical construction and installation solutions that meet the needs of a variety of customers. Our 40+ employees consist of licensed electricians, project managers, estimators and office personnel. 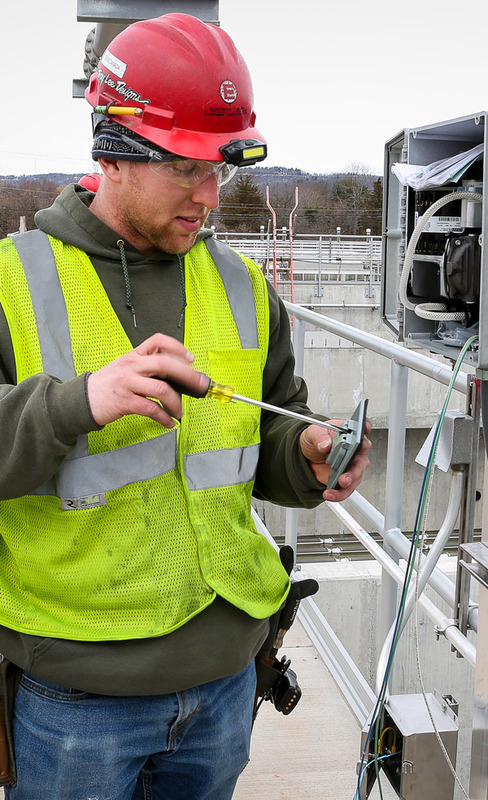 EESC has been in business for over 25 years and has a long standing tradition of quality installations within Connecticut’s electrical industry. EESC provides tailored power quality solutions for school and university facilities, to manage energy and help to maintain budgets. Areas such as science laboratories, computer/library rooms, healthcare departments, data center/records require quality electrical service. Additionally, dedicated buildings, stand-alone departments, conference centers, and sports complexes typically need to maintain their loaded power, especially during peak demands. EESC prides itself in staying current in the most up to date power and lighting requirements in today’s medical facilities. Installations include small renovations to large additions and renovations. EESC understands the importance of waste water operations. Reliability and up-time are critical for proper service, plus managing overall costs can be just as important. With wide reaching product offerings, our approach to resolving power quality concerns is designed to provide a distinct advantage. Installations include small pump stations to full large waste water treatment plant projects. EESC has worked on many government projects for various branches of the armed services. Recent projects include work for the US Army Reserve and the US Air National Guard. The welcoming appearance of your business is important to attract and retain customers. EESC can design and install lighting throughout your property to ensure safety and security. Whether your requirements are for high school, college, or recreational leagues, you will find the design and luminaire to meet your needs.